Remembering others who died while serving. Thanks to an FS friend who posted this picture. Well, not exactly, but close. This summer is when we bid for the first time in years. Four years to be exact, three for my wife. Three or four blissful, awesome years...are coming to an end. I checked, and my last post on bidding (or at least that I tagged with bidding...I am too lazy to actually look) was in 2010. It has been awesome! If you search bidding and the Foreign Service, you will find very few folks who like the process. One compared it with being asked to the prom, and whether or not you get asked by your number one crush or have to take the second, third or twentieth down the list. Does she like me? I mean, really like me? Now we have a new tool, which simultaneously makes bidding easier and harder and extends the bidding period indefinitely. It is called "projected vacancies." We have always had it, but you had to really want to search in order to use it. Because it only existed for each bureau on their web page, IF you could find it (unless you are bidding on posts beginning with A, I or P, in which case you are greeted with flashing signs "BID HERE!"). Lots of bureaus didn't have it at all. Now it is all in one lovely, horrible place. Which means instead of waiting until the bid list comes out in August-ish, we can start searching NOW. And getting disappointed NOW. And fretting NOW. And wondering if the only way to be posted together, or get promoted, or get a decent onward, is to look at those posts beginning with A, I or P. Not that we are unwilling to serve there (seriously, we volunteered for Jerusalem when that was THE place...now it is like, yeah but what have you done for us lately), just that we have some other career boxes we need to check first. I am a planner (ENTJ baby)...I like lists and organization. I like being prepared for what comes next....it is a trait that source of perpetual frustration in the Foreign Service, particularly where bidding is concerned, because bidding takes away all ability to plan. Not to be deterred, I already have spreadsheets of overseas and DC positions, places where there are jobs for both of us. Can we try for a stretch...there is a list for that. Should we just go back stateside and then lobby next time? There is a list for that. (though going stateside would make us Fair Share, meaning our next time bidding, we would need to bid at least three hardship posts of 15% or greater in two geographic bureaus, and we don't really want to be Fair Share. 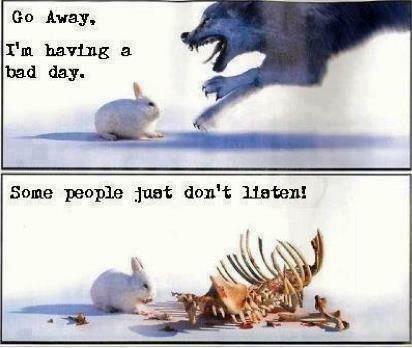 Though lots of people are Fair Share and still don't end up in a hardship tour. Because BIDDING hardship and LOBBYING for hardship are not the same thing. In fact, you don't have to lobby for any of your core (at grade and in cone bids)...and if you don't lobby, you won't get them. I only lobbied for this job, not a core because it was a stretch position. None of my core bids gave me a second glance. Nor did I want them to. The bad thing about the "projected vacancies" is that they aren't necessarily REAL. I have already found two positions I thought looked promising (one I thought would be our #1) that won't be on the list at all. the incumbent extended. So we are looking for hardships, hopefully in Europe so that can be my major bureau, maybe in South Central Asia (so we could maybe get a language in common that isn't a single country language), or maybe even Asia (did she really just mention Vietnam??). And we are looking at DC (the ultimate hardship, but it doesn't count!). And we are trying not to look at posts that begin with A, I or P.
My dad sent me an email asking if I was okay because he hadn't gotten an email or seen a blog post from me in over a week. So I figured I should write something. The truth is that work has been, well, work lately. Some times are less rewarding that others, and I seem to be in one of those times. It doesn't help that bidding season is rapidly approaching and bidding as a tandem is hard. I am working on a post about that in my head, but suffice it to say, one of the many things I was excited about when coming here was that it meant four years of not having to bid. Sadly, that is coming to an end. So to deal with the work issues and the impending bidding doom, we have decided that we need to go somewhere at least once a month, at least for a long weekend. So last month was a long weekend in Paris. This month, last weekend in fact, was a long weekend in Riga and an afternoon on the way back in the Estonian beach town of Pärnu. Going to Riga has lots of advantages. It is close...just four hours...and is similar yet different. But the biggest bonus is we have lots of friends there. My wife's first boss is there. One friend from A-100 is there as is the wife of another A-100 classmate (the classmate is in Afghanistan). There there is a friend from area studies, and another who used to work with my wife on the Russia desk. And I have said before that when the Foreign Service dream job is being more of a job and less of a dream, it is friends we have made in the service that keep us here. That remains true. Next month, we are taking a week to hit Norway, plus my inlaws and friends from A-100 will visit. In July, we will take a long weekend to a yet undecided location, and then it will be two weeks in Scotland in August or September. Hopefully sometime in there, my dad will visit (and maybe even convince my stepmother to come along!) And by then, the bid list should have been submitted and the real angst can begin! This is the location of what Latvia claims was the first Christmas tree...which of course came some 60 years after the REAL first Christmas tree...in Tallinn. I took this in honor of my favorite post from The Bloggess....Knock knock, Mother F*cker. Blackheads House...a bit larger and grander than Tallinn's. But we still had the first Christmas tree. 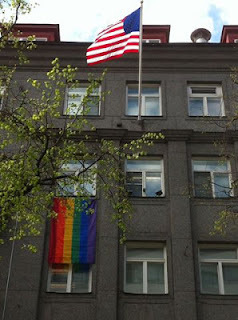 To mark the International Day Against Homophobia and Transphobia (IDAHO), the U.S. Embassy in Tallinn on May 17 will display the rainbow flag on the Embassy building at Kentmanni 20, Tallinn. IDAHO is an annual event celebrated internationally to counter homophobia and raise awareness of the human rights discrimination faced by Lesbian, Gay, Bisexual, and Transgender (LGBT) individuals. 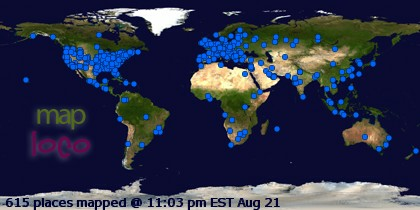 This year, IDAHO will be observed in almost 90 countries. In Estonia, the Estonian LGBT union will mark the day with events in Tallinn and Tartu, including a panel discussion at 14:00 in Tallinn on the proposed partnership law. The panel discussion will be opened by Ambassador Levine. Mother Jones has an interesting piece about attacks on diplomats overseas and Republican claims that we are attacked because we are "projecting weakness" rather than advocating for "peace through strength." The article says: "But behind the comparisons to Jimmy Carter and the references to "peace through strength" is a dubious policy critique: not just that Obama is Carter and Romney is Reagan, but that somehow sufficient man-musk from an American president can dissuade any potential terrorist from laying his finger on an American diplomat." It goes on to say: "Having Ronald Reagan in office didn't mean an end to attacks on US diplomatic targets. Despite Reagan’s refrain of "peace through strength," several high-profile attacks on US diplomatic facilities occurred on his watch, including the bombing of the US embassy in Beirut, Lebanon, by Islamic militants. Twice. According to the Global Terrorism Database compiled by the University of Maryland National Consortium for the Study of Terrorism and Responses to Terrorism (START), attacks on American diplomatic targets actually rose during Reagan's term—before beginning to subside in the mid-1990s." The decline is probably not because terrorists were intimidated by Bill Clinton more than they were by George H.W. Bush. Two of the worst terrorist attacks on American diplomatic targets, Al Qaeda's bombing of US embassies in Kenya and Tanzania in 1998, happened on Clinton's watch. It does however, make the Romney campaign's claim that having a Republican in office will frighten terrorists out of striking at American diplomats or staging violent protests at American embassies extremely dubious. The UMd. database lists 64 attacks on American diplomatic targets during the George W. Bush administration, including car bombs at the US embassy in Yemen and armed attackers assaulting a US consulate in Saudi Arabia." The article interviews former Ambassador to Pakistan Wendy Chamberlin, who says that everyone who signs up for this job knows the risks involved. She is right. And we take those risks because we know that representing America overseas, engaging with people who like us or don't like us, makes us safer at home. This is the point of what we do. It is galling that the attack in Benghazi is being used for political points. Where were all of these investigations into all of the attacks on our embassy before President Obama took office? Where was the concern for our security when Congress cut our security budget? The truth is that Chris is dead. Sean and Anne are dead. Any of us could be next. 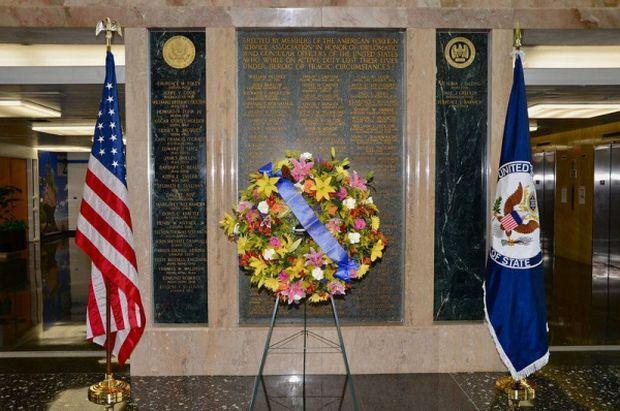 Our memorial plaque at Main State lists the names of the hundreds who have died in the line of duty while serving the country in the Foreign Service. More Ambassadors have died in the line of duty than have Generals and Admirals combined. Our work is dangerous. We know that. We also know that there are some things that could make it less dangerous, but they involve funding security not searching for a cover-up that didn't happen. And even with adequate security, our job, if we do it properly, will still be dangerous. People will still die for their country. But how about when it happens again, and it will happen again regardless of which party holds the White House, thank us for our service, make certain, as the review panel already did, that we did everything we could to prevent it or fix what allowed it to happen. But that is not what the current "investigation" is doing. They are looking for political points to harm this administration or perhaps Secretary Clinton's chances at the next one. And that dishonors us all. May is one of my least favorite months. Of sure, it starts off and ends great (Dad's birthday at the start, and my wife's birthday at the end). And it is spring, so you finally start getting decent weather in May. But then there is Mother's Day. And with Mother's Day, all the accompanying posts from people about how awesome their mothers are. Are, not were. And all the pictures of those folks with their moms. Current pictures, not old ones. Not more than a decade. I miss my mother every day, and sixteen years on, this hasn't changed. Mother's Day feels like a giant neener neener from the world about how lucky everyone is to have their mothers with them. And the truth is, I mourn for more than just my mom on Mother's Day. Because I was lucky enough to come from and know generations of awesome women. I was close to both of my grandmothers and to my great grandmother as well. Awesome, strong, intelligent women. Women who never told me there were limits to what I could do. Women who have all passed on, most recently my mom's mother three years ago. In our grief for my mom, we became like surrogate mother and daughter for each other. But then, I get hit with the other whammies...both my mom's and her mom's birthdays come right after Mother's Day. So with all the birthdays (my niece's birthday is in May too), May used to be a month of being really happy but kind of broke from buying presents. Now May is a month of being sad. Thankful for what I had, yes, but sad because the loss is still there. After my mom died, a friend told me "It never hurts less, it just hurts less often." I send greetings to all those celebrating Foreign Affairs Day 2013 at the Department of State, the United States Agency for International Development, and our Embassies, Consulates, and missions around the world. Today, we honor Foreign and Civil Service professionals who are the backbone of American diplomacy and development efforts. From strengthening our alliances and forging strategic partnerships to preventing violent conflicts and halting the spread of deadly weapons, you endeavor to promote democracy and security, guard against disease and poverty, and champion human rights while fostering mutual understanding between peoples. Your impact is lasting and your work embodies the ideals that have made our Nation a beacon to the world. 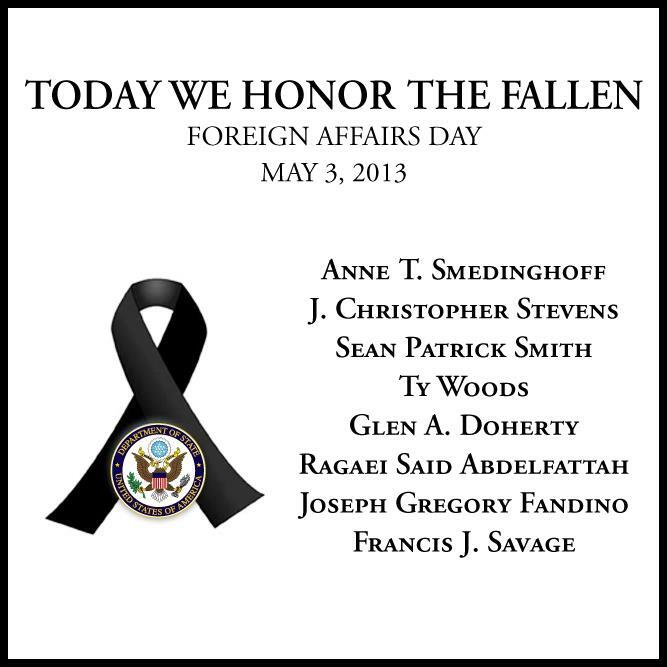 On Foreign Affairs Day, we honor those who made the ultimate sacrifice while serving our country. We solemnly remember Anne T. Smedinghoff, a Foreign Service Officer, who was killed in Afghanistan on April 6, 2013, as well as the four men who lost their lives on September 11, 2012, in the terrorist attack in Benghazi, Libya: Ambassador J. Christopher Stevens, Information Management Specialist Sean Patrick Smith, and Security Agents Ty Woods and Glen A. Doherty. We also remember Ragaei Said Abdelfattah, a Foreign Service Officer with the United States Agency for International Development, who was killed in Afghanistan on August 8, 2012. As we continue to commemorate the 50th anniversary of the Vietnam War, during which hundreds of Foreign Service Officers served, we also pay special tribute to two former officers today: Joseph Gregory Fandino, a Foreign Service Officer who died in the line of duty in Vietnam on June 27, 1972, and Francis J. Savage, a Foreign Service Officer with the United States Agency for International Development who died on March 17, 1967, of wounds inflicted by a June 1965 Viet Cong bombing. The names of these eight devoted individuals will join those of 236 other Foreign Service members on the Memorial Plaque, forever honoring their legacy of service to the country they loved. I join Secretary Kerry in saluting the Foreign Service members who have given their lives in service to our Nation. I offer my thanks to all members of the diplomatic service and their families for their selfless contributions to making our world more peaceful, prosperous, and secure for all. Each year on Foreign Affairs Day, we unveil the memorial plaque where the names of those who died in the line of duty that year are inscribed. I couldn't be there this year to see Chris' name added along with the names of the others who died in the service of our country, but I was there in spirit. We miss you all. The picture of the plaque was taken by JL, a friend from J'lem, who was able to attend the ceremony The remarks were made by Secretary Kerry at the event. SECRETARY KERRY: Susan, thank you very much for your stewardship and that of AFSA, and a welcome to all of the extended members of the State Department family. We are deeply appreciative for everybody taking part in this ceremony as we mourn and we commemorate and we celebrate our fallen brothers and sisters in service. I want to welcome CIA Director Brennan, USAID Administrator Shah, and of course, the Vice President of the United States. And I also want to thank all of the leadership of the State Department that are here with us today, obviously. Anne Smedinghoff was just 25 years old when she was killed in Zabul province, Afghanistan. I met her on my trip to Afghanistan, about a week before her death. And I remember her face – her permanent smile – cutting through the chaos and the crowd. That’s exactly where Anne wanted to be, right in the thick of it. And she was killed carrying out a mission of hope, bringing books to Afghan children, who had no connection to her, but who she believed deserved the chance to improve their lives. Ambassador Chris Stevens, who was killed in the terrorist attack at our diplomatic post in Benghazi, on September 11, 2012. Through all of the tributes and the memorials after his death, we have learned so much about who Chris was as a person and about his skill as a diplomat. Everyone felt like he was a personal friend. And in fact, for those of us on the Foreign Relations Committee, he was, because he worked there at one time. One Peace Corps volunteer even visited the town in Morocco where Chris served almost 30 years earlier. And the volunteer met a young Moroccan, who not only remembered the first words Chris taught him in English, but he said that Chris inspired him to become an English teacher himself. Sean Smith was killed in the same attack as Ambassador Stevens. He was serving literally as a one-man band to keep the Benghazi post running. He was Information Management Officer, Financial Management Officer, Management Officer in general. And Sean, throughout his career, went places that other people didn’t. He was the first to volunteer for Haiti after the earthquake, the first to volunteer for Japan after the Fukushima disaster. And so of course, he stepped up to serve in Benghazi. But with as much time and passion as he devoted to work, he also built a very rich network of friends. His love for the San Diego Chargers was legendary – as were his Super Bowl parties – and he was an accomplished online gamer. He leaves behind his wife, Heather, two young children. And I hope they know how much we are all diminished by Sean’s loss. Today we also honor two true warriors – both trained Navy SEALs, both fierce patriots with loving hearts. Ty Woods and Glen Doherty died defending the U.S. annex in Benghazi. And thanks to their bravery and their sacrifice, 30 Americans escaped the attack. Thirty Americans are alive today because of Ty and Glen. Ty Woods was a guy who was always looking for a challenge, always waiting for the phone to ring and for the next big mission. Even though he got a scholarship to wrestle for the University of Oregon, Ty joined the SEALs at 18 because he thought it was the biggest challenge that he could set for himself. He earned a Bronze Star and a Combat V, but he also had a healer’s touch, and he eventually became a registered nurse and a certified paramedic. Over the years, he become an instructor and a mentor to younger SEALs, even after he retired from the Navy and began defending our embassies. Ty’s close-knit group of friends still miss him deeply, as do we. And our thoughts are with his wife, Dorothy, and their infant son. Glen Doherty protected our diplomatic posts around the globe from Iraq to Afghanistan, and finally, to Libya. According to his SEAL buddies, Glen was, without a doubt, the most liked man you could ever hope to meet. Whether he was skiing or surfing, running or rafting, Glen always wanted to be doing something and always wanted to be connecting with other people. He wanted to be the man in the arena, the “doer of deeds,” as Teddy Roosevelt said. And Glen actually carried that famous speech with him for years as an inspiration. It spoke to the part of him that wanted to protect people and ultimately led him to sacrifice himself defending others. Glen was from my home state of Massachusetts, and I’ll never forget how the people of Boston came out to honor him, thousands of people standing watch in the street as his casket came by. 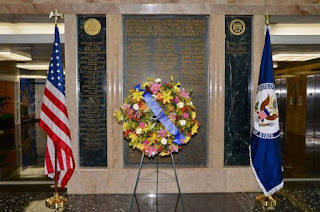 Today we also add the names of two Foreign Service officers that we lost more than 40 years ago. It was another time, another war, but their devotion to their work was identical to the six that we lost this past year. Joe Fandino served in the Air Force during the Korean War where he sat on the “black box” during missions, meaning it was his job to blow up the plane if it got into real trouble. So he was a man who understood high-stakes situations. He also had a tremendous sense of humor. On his first Foreign Service posting to the Dominican Republic, he was riding with the Ambassador, who just happened to be his future father-in-law, and the rioters began rocking the car. And the Ambassador asked, “Joe, what do you intend to do if things get really bad?” And Joe didn’t miss a beat. He just leapt up and said, “I’ll jump out of the car, tear off my tie, and yell ‘down with the Americans!’” (Laughter.) Joe’s family and friends cherish those memories of his charm and his ability to cut through the noise. He died in 1972 while serving in Vietnam with USAID. Frank Savage used to ride his Harley around Europe while wearing a Levi jacket with a big American flag sewn onto the back of it. He was proud of his country, and he wanted everybody to know it. Frank volunteered to serve in Vietnam with USAID, and when he wasn’t on duty, he helped defend a local orphanage from Viet Cong attacks. He was severely injured in the 1965 terrorist bombing of My Canh, the floating restaurant, but after a year, he volunteered to go back. And Frank felt he that had a job to finish, which is characteristic of every single one of these people. Sadly, he became critically ill from his original wounds and he died in Saigon in 1967. So when you look at situations where danger is part of daily life, you actually develop a different perspective about life itself. I remember that from my own tour of duty in Vietnam with the Navy, working alongside men who became my brothers. And we all came back after losing a lot of friends with a saying: Every day is extra. Anne, Chris, Sean, Ty, Glen, Ragaei, Joe, and Frank didn’t get enough extra days. And their loss still is real and it’s raw. As friends, we miss their joy in living each day to its fullest, whether that was biking across the United States or talking with locals in a Libyan souk or building a replica of the Starship Enterprise entirely out of Legos. They did what made them happy. These were special people. As a Department, we miss their love of this country, their belief in our work. And for those of us blessed with extra days, let each one of us honor their memory and recommit ourselves to the mission that they loved so much. I served on the Foreign Relations Committee for 29 years. And for 26 of them, I was privileged to sit near the Vice President of the United States, then the chairman, and even before that, before he was chairman. I don’t think the United States of America has ever had a vice president who knows as much about foreign policy, as much about this Department, or who cares about it as much as Vice President Joseph Biden. And I’m privileged to introduce him to you now, the Vice President of the United States. "Colleagues: I don’t think any of us will ever forget where we were or what we were doing on April 6th when we learned that Anne Smedinghoff had been killed in Afghanistan. It was my most difficult day as Secretary, and the weight of knowing that three U.S. service members were also killed, and several other Mission Afghanistan colleagues injured, was something all of us felt quite profoundly and, frankly, we all still feel it today. We feel it especially this week as we gather to add new names to the Memorial Wall here at State. 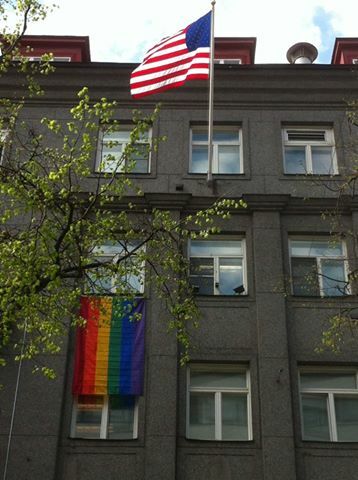 One of the things, though, that has made me most proud of everyone who makes up our incredible State Department and USAID family, is the way in which we pull together when tragedy strikes. I’ve seen and felt it in the way people volunteered to help Anne’s family during the worst time any parent could ever imagine, in the many memorial efforts to honor her at Embassy Kabul, or in the quiet acts of keeping faith that so many of you took part in these last weeks, leaving flowers and cards and personal notes remembering Anne downstairs near the place on the wall which will bear her name. For so many, there’s been a “there but for the grace of God go I” sentiment in how everyone saw in Anne’s idealism and her courage just a little bit of who we’d all like to be, and more than a little bit of a reminder that in this dangerous world that calls on foreign service professionals, the risks are always with us. As all of you know, I met Anne in Kabul, and I was touched by her spirit, her work ethic, and her idealism. That’s what we need to celebrate this week. We all grieve in our own ways. But one of the things I’ve learned as someone who lost close friends at a young age in a war, and in many years as a Senator when I met with many families of the fallen from Massachusetts, is that even as we struggle to wrestle with their deaths, and to make sense of questions that only God can answer, that we need to celebrate their lives and their examples. Only we the living can help honor the qualities and the energy that people like Anne shared with us, and that’s important – in fact, perhaps most when someone is taken from us far too young, it matters that we remember the good times of young lives lived with great energy. What I hope we can do this week is celebrate Anne’s life together. ....I ask you to help remember Anne by joining me and Anne’s family – Tom, Mary Beth, Mark, Regina, and Joan – at a memorial service that will celebrate her and honor her ideals." The ceremony will be closed to the press at her family’s request, but if you are part of the State Department community, you can watch it via BNET at bnet.state.gov/meetings.asx or later on BNET’s Video-on-Demand archive.